On November 27, 2018, I was standing on the beach reeling in some Whiting and Spots and I heard a gigantic dump truck go by. 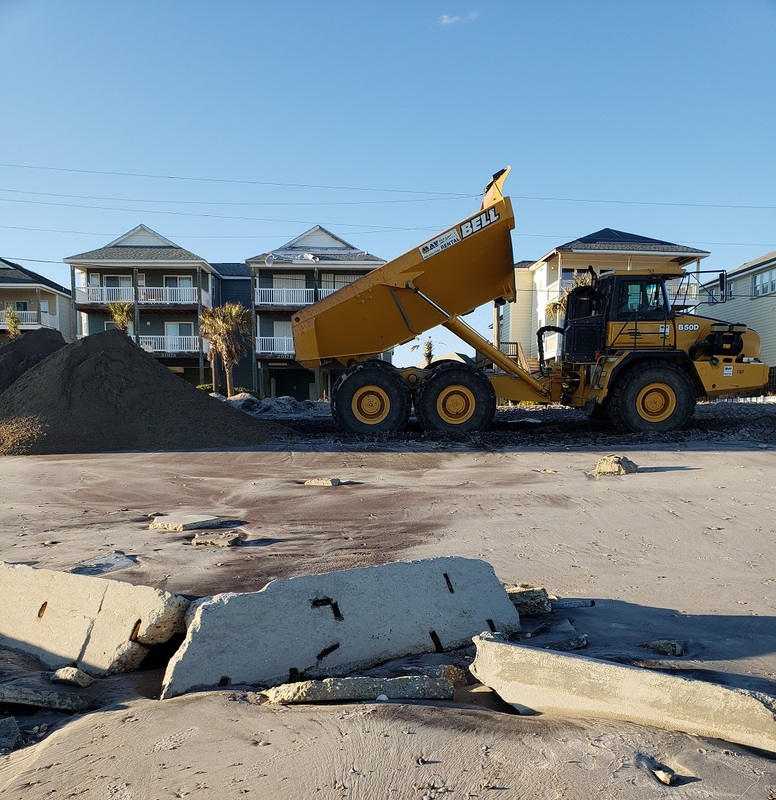 Yes, it was sand finally being delivered to North Shore Drive in Surf City. The Topsail Island dunes are finally being restored. I think they’ve been putting sand down south of here for a while. I’m pretty sure at a recent CAMA meeting the Town of Surf City said that oceanfront homes can’t build stairs again until the dunes have been repaired. Hopefully the beaches get sand also. There’s FEET of sand missing from the beach. Currently, at high tide, even in 6MPH winds, waves are rolling up underneath people’s houses. Apparently, FEMA has yet to even assign Surf City a point of contact, so at this point nobody knows when the sand will be put back onto the beach. There’s a LOT of debris in the Atlantic, and that’s not expected to die down anytime soon. I didn’t find it too difficult to fish but I did reel in some branches. Pieces of decks, docks and stairs are still washing up on shore, along with trash and other junk. Today, a 15″ tire washed up at high tide.